I’m always a big fan of new and upcoming social communities that provide a real value to it’s members. One of these communities is named Blog Interact. I think what I enjoy most about it was all the familiar friends I seen after the first 24 hours of signing up to their service. Blog Interact provides a safe, fun and clean environment for marketing your blogs to other bloggers within similar niches. One of my favorite accepts about this community is the fact that it actually brings you new readers and blog comments. Unlike other social communities that frown when you try to promote your latest articles. Submit your article – Blog Interact is a great place to submit all your latest articles or even to submit all your friends latest articles. Meet new bloggers– If your looking to meet new and friendly bloggers Blog Interact is the place for you. it’s thriving community of new and experience bloggers waiting to meet you. Socially share with others – When submitting your content this is a great time to socially share other blogger material. This will build up your authority in the blogosphere and also get you some social sharing in return. Add new friends – I love this functionally at Blog interact, they allow you to follow other bloggers including their recent activity and more. You can see who they vote on, who they follow and when their online. this is a great way to build on relationships and increase your online followers. Very Nice Review. 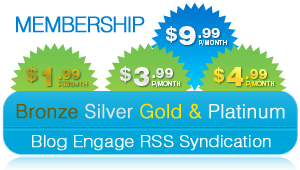 BlogInteract is really a great community for Bloggers & Internet Marketers. Bryan did awesome work with the BlogInteract Interface. It looks awesome. Thanks for sharing this great review with us. Thank you for all of your kind compliments. As you well know, while we all differ in our own ways, I have certainly generated ideas from Blog Engage, Blokube, and SERPd (yes, and Facebook too!). You all have done – and continue to do – a fantastic job. 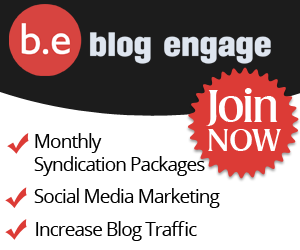 I know that Blog Engage was a pioneer of this type of community and it certainly deserves its praise. Again, thank you for your kind words, and if you have any words of wisdom for me, I am happy to listen. I cant seem to load Blogengage??! It loads via other links to articles, but when i try to vote I get a page that looks as if your theme shat itself and reverted back to old skool html. Not sure if its just me but I have tried it with two browsers and I have cleared my cache – same problem ?? I need to engage man LOL! I have already joined this site (but haven’t participated in it, b/c first I need to know whether the reviews are positive, and know I think I am ready). Thank you for the awesome review, Brian ! Blog Interact sounds like a really fantastic place to belong from the sound of this article! As a blogger, it appeals to me, same as Blokube and BlogEngage. However –and this is my sad frustration– my niche is about parenting, so I fit in with or appeal to none of the rest of those communities! And while the traffic from those sites would be nice (and online marketers and bloggers are fantastic at networking!) it would only be the polite-yet-disinterested traffic from the nice people on those sites.